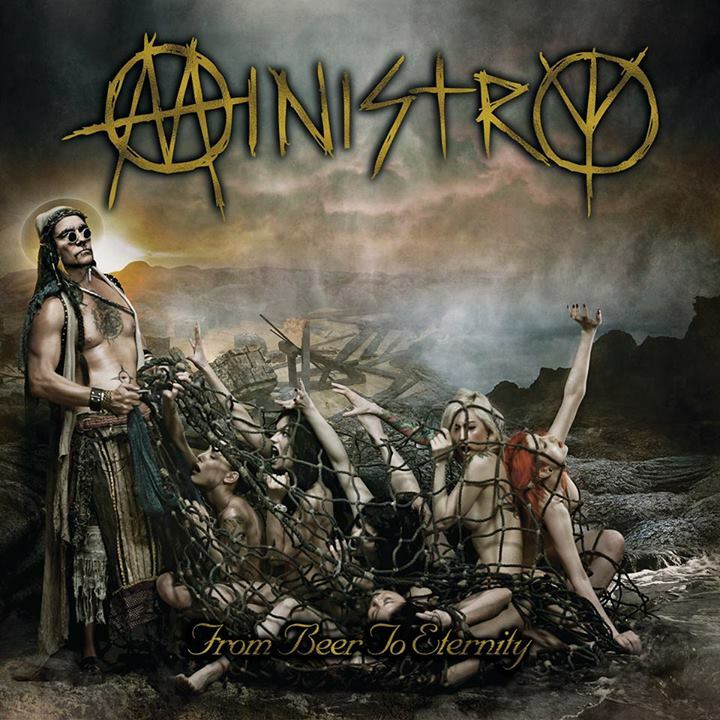 Isn’t Ministry over? The spurs hung up last year? In 2007? Even longer in terms of relevancy or inspiration for some older fans no doubt anyway, right? For the past five years, the band’s all-encompassing front man, Al Jourgensen has been saying just this. No more Ministry and no more original Ministry music. Hmm. Seems you just can’t keep a good (or aging, drug warped, bored or broke – whichever the new reason to produce another record) man down and even though it’s probably not surprising Al went back into the studio after 2012’s mediocre, Relapse (FBTE constitutes the trifecta of “final” albums for the band), the actual reasoning behind From Beer to Eternity is a poignant one and a worthy finale and epitaph. Not just for the band, but for Al and his long-time guitarist and collaborator, Mike Scaccia, who died on stage at the end of last year, just three days after finishing studio sessions laying down the rough tracks of this record. So in that sense, let’s hope this time, it is the end, allowing Jourgensen to redeem some of the band’s legacy with a surprisingly killer final long player. 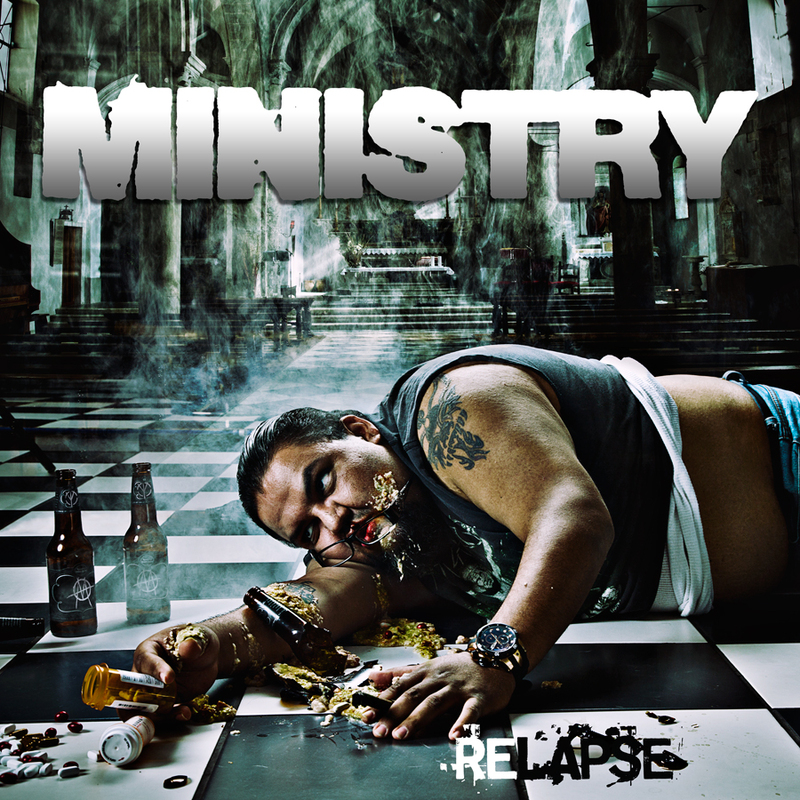 It is fairly problematic to rate Ministry albums of late. To be more precise, every album since the release of 2003’s Animositisomina. The underrated long player that was the last involving Al Jourgensen’s bassist and partner in crime, Paul Barker, before he reached his tolerance with Uncle Al and left. Barker joined Jourgensen in the mid 80’s and was integral in co-creating the band’s best and most defining work including The Mind is a Terrible Thing to Taste and the vastly influential, Psalm 69 from 1992. Guitarists Mike Scaccia and Tommy Victor remain the only consistent members alongside Al since the split with the void filled by a handful of session and tour musicians that varies from almost album to album. Four new recordings – not including the cover albums – have been released without Barker and in his contributing absence, the first three ranged from average (The Last Sucker) to good (Houses of the Mole), but essentially inconsistent and certainly don’t reach the heights of the legacy that Jourgensen and Barker shaped and are now forever judged against by long-time fans. Unfortunately, but perhaps not surprisingly, Relapse is no different.